An aerial view of St. Joseph taken in the 1940s. The landscape of the health care industry started changing in the early 1960s, and by 1968, the Sisters of St. Francis were in dialogue with the medical staff of St. Joseph’s Hospital concerning the hospital’s future viability, if not survival. Discussions were being held within the community about the need to either remodel the old St. Joseph’s Hospital located 11th St. and Big Horn, or build a new one. It was hoped the Sisters would be able to participate in the funding of a new hospital, but it wasn’t to be. However, they still hoped to be able to be a part of the new hospital’s operations. And so the ball started to roll on innumerable private gatherings, discussions and public meetings for a community owned hospital. It was a bumpy ride, to say the least. In April of 1971, the Box Butte County Hospital Committee, chaired by Charles H. Brittan, announced that a meeting was to be held April 29 to hear the proposals presented by the community’s architectural firm, Leo A Daley Co. of Omaha. More study was needed to give the community additional options, and by May 11, the committee had four proposals on the table: 1) Remodeling St. Joseph’s at a cost of $2,149,200, with $300,000 being raised via a fund drive; 2) Build a new building at a new site, with total cost $2,199,200 excluding land; 3) Build a new building at the existing location with a total cost of $2,149,200; 4) A “get buy” option of purchasing St. Joseph’s Hospital and doing enough updating to “get buy” at an estimated cost of $600,000. After asking for input from the community, the committee held a joint meeting on June 3, 1971 with the Alliance City Council, Village of Hemingford and Box Butte County Commissioners to announce its recommendation. 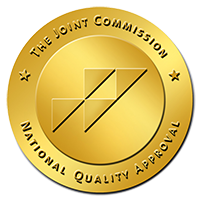 The committee recommended the building of a new hospital, whereupon it was disbanded having completed its duties. The three governing bodies held an open meeting June 16 and agreed with the committee’s recommendation, with cost estimates increasing to $2,225,000. A steering committee was formed to move the plan forward. That committee, after meeting several times, determined that it was more feasible to build a new hospital as a county-owned facility, and that a special election be held to raise the necessary funds through taxation. A petition drive was announced to put the matter before the county voters via a special election. The decision wasn’t without its detractors, which grew abundantly clear as the weeks progressed toward a special election in the fall of that year. The local newspaper had several “Rumblings” letters-to-the-editor expressing dissatisfaction with the plan to build a new facility, with other letters in support. The concerns expressed about the cost of the hospital were heard, and the Hospital Committee announced on September 30, 1971, that it had reduced the costs for the planned 50-bed acute care hospital $650,000, bringing total costs down to $1,575,000. 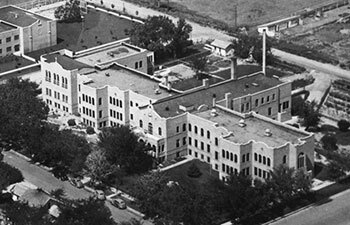 Because of questions raised by the public over what would happen to St. Joseph’s Hospital if the vote denied the issuing of said bonds, the Sisters of St. Francis issued a statement that they would continue to operate St. Joseph’s if such was the case, due to the public’s concern, thus reversing their earlier decision to close by July of 1973. What followed was a flurry of competing advertisements and letters-to-the-editor, with some urging voters to approve while others advocated the defeat of the bond issue. The divide was evident even at St. Joseph’s, with staff on different sides of the issue placing advertisements advocating their positions. When November 23rd arrived, voting was heavy throughout the day. In the end, the proposal was defeated by 154 votes – 1,666 for and 1,823 against.